According to the scientists, they were buried at least 500 years ago. At first, researchers thought that they came across the remains of ancient settlements, but no signs of human life have been found nearby. British officials on Thursday released about 8,500 pages of previously classified reports that document sightings of unidentified flying objects by the military and members of the public dating back to the 1950s. The 35 large files, available via the Internet, mainly cover the period from 1997 to 2005 and include photographs, drawings and descriptions of flying saucer sightings, as well as letters that the Ministry of Defense sent eyewitnesses in response to their accounts. via Technology & science – Space – msnbc.com. Residents of Vancouver, Wash., reported seeing a saucer-shaped object with red and green lights hovering low in the sky, authorities said. The lights brought several people out of their homes in the city’s Clear Meadows neighborhood around 6:45 p.m. Sunday, The Vancouver Columbian reported. “It was the weirdest thing I’ve ever seen,” resident Gary Moore said. Dispatchers with 911 confirmed at least one report of an object sighting. Officials at the National UFO Reporting Center said they did not receive any reports. “UFO death ray narrowly misses skiers?” Well no, actually. 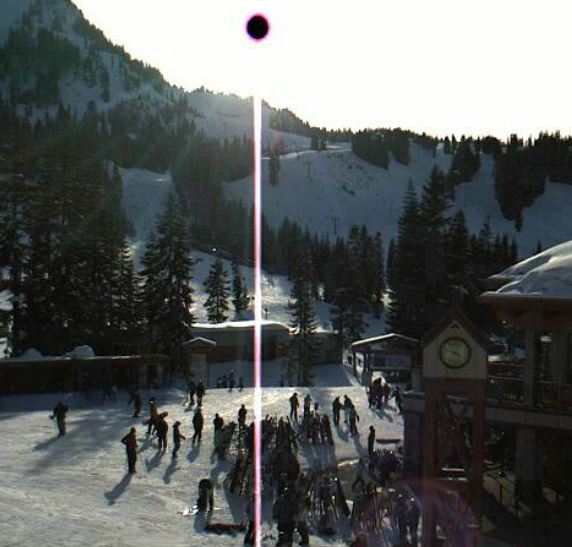 It’s actually the Sun overwhelming a webcam at the Stevens Pass ski area in Washington State. Cool picture though. February 20, 2011 Posted by oldstersview | cool stuff, UFO	| Comments Off on “UFO death ray narrowly misses skiers?” Well no, actually. 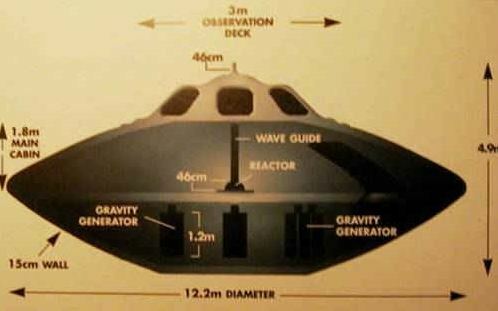 First they were buzzing around in our skies in saucers, tubes, triangles and spheres. Then they started shining lights down on places and people. Then they started abducting folks for amusing, to them, experiments. Then they started doing surgeries on cattle. Ok. I’m a patient person (well, sort of) and can put up with a few little quirks, but now they have gone too far and are taking baths in our tubs! Or at least in this tub. Time for ET to go home. Quality inspector Munesh Mistry, aged 21, spotted the triangular-shaped object above the skies of his home in Andrew Road, Tipton, at around 10.15pm on Sunday. His sighting comes just weeks after a UFO was spotted hovering over Sutton Coldfield on the eve of Bonfire Night. Let’s see. October 13th was yesterday, right? A newly-published book by a retired NORAD officer predicts October 13, 2010 as the tentative date for a fleet of extraterrestrial vehicles to hover for hours over the earth’s principal cities. via Worldwide UFO Display on October 13, 2010 – Yahoo! News. I must have been napping when the fleets of UFO’s showed up yesterday. October 14, 2010 Posted by oldstersview | UFO	| Comments Off on Let’s see. October 13th was yesterday, right? A major (Chinese) airport was forced to shut down to prevent packed passenger jets crashing into a UFO. The “flat and tubular” object hovered two miles from Bootee in Inner Mongolia, a part of China. Astonished officials say it then zoomed in to circle the airport before suddenly vanishing. Three flights from Chinese cities Beijing and Shanghai were diverted to nearby airports. It is the third mysterious UFO sighting this year to have resulted in Chinese airfields being closed. Xiaoshan, in Zhejiang province, shut for a few days in July after an “oddly-shaped, twinkling bright light” was seen nearby.Another scare was reported earlier in the summer at Hong Kong. October 5, 2010 Posted by oldstersview | UFO	| Comments Off on Third time’s the charm? Did you know the UN has an “Office for Outer Space Affairs”? 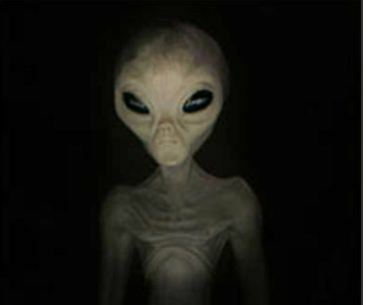 The United Nations was set today to appoint an obscure Malaysian astrophysicist to act as Earths first contact for any aliens that may come visiting. Mazlan Othman, the head of the UN’s little-known Office for Outer Space Affairs (Unoosa), is to describe her potential new role next week at a scientific conference at the Royal Society’s Kavli conference centre in Buckinghamshire. She is scheduled to tell delegates that the recent discovery of hundreds of planets around other stars has made the detection of extraterrestrial life more likely than ever before – and that means the UN must be ready to coordinate humanity’s response to any “first contact”. 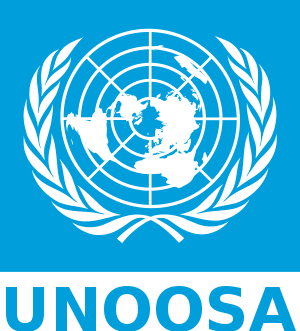 September 26, 2010 Posted by oldstersview | UFO	| Comments Off on Did you know the UN has an “Office for Outer Space Affairs”? A newly-published 352-page book by a retired Air Force officer, Stanley A. Fulham, tentatively predicts October 13, 2010 as the date for a massive UFO display over the world’s principal cities. According to the author, the aliens will neither land nor communicate on that date; they are aware from eons of experience with other planets in similar conditions their sudden intervention would cause fear and panic. via Tentative Worldwide UFO Display on October 13, 2010 – Yahoo! News. An Australian woman claims she was cut off by two alien beings in a spaceship shaped like a Ford station wagon — before it took off surrounded by green, blue and red flames, the Northern Territory News reported Saturday. Dramatic events have taken place in China over the last few days and that nation’s thousands of UFO researchers and enthusiasts are reeling in shock. One of the heads of China’s famous Purple Mountain Astronomical Observatory, Prof. Wang Sichao, has gone public admitting the UFOs are real and aliens are visiting Earth and that the observatory has observed their craft many times. The admittance of UFO reality was made yesterday within an official speech entitled tellingly ‘China’s UFO truth’. This news has been extensively reported in China. These UFOs are probes manned by robots. These craft travel at eighty percent the speed of light. These craft have been seen by the observatory many times at between 150 and 1500 kilometers above Earth. The aliens might use Nuclear fusion to propel their craft. via UFO & Paranormal News. “UFO Crash Reported Live.” Real or an elaborate hoax? 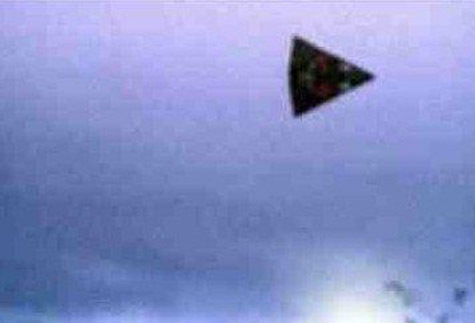 UFO reports have been taking a dramatic turn lately with more witnesses describing events related to a sort of conflict between military forces and large black triangular craft. Such craft were seen in Canada earlier this week allegedly being fired upon by helicopters and another was spotted near Fresno California crashed into the side of a mountain with military vehicles quickly surrounding it. What uncertainty does this bear for the future? When MUFON’s Jeffrey Gonzalez received a phone call on MUFON’s 24 hour hotline, what he heard sounded at first like one of the most historically significant UFO sightings since the Roswell incident, but carried with it a far more sinister undertone given other recent sightings of human conflict with these mysterious craft. With witnesses screaming in the background, “It’s trying to take off, it’s trying to lift!” Mr. Gonzalez learned that witnesses had seen a black triangular craft crashed into the side of a mountain at the location just north of Fresno. via UFO Crash Reported Live from California. August 30, 2010 Posted by oldstersview | UFO	| triangular UFO | Comments Off on “UFO Crash Reported Live.” Real or an elaborate hoax? Bookies (in the UK) slashed the odds on aliens existing after it emerged Winston Churchill ordered a cover-up of a wartime encounter. William Hill reported a surge of people placing bets after claims were published about Churchill fearing public “panic”. One gambler placed a bet that would see them win more than £1 million if any such claims are proved, reports the Daily Telegraph. The Second World War incident supposedly involved an RAF bomber encountering a UFO off the east coast of England. Churchill allegedly banned reporting of the “bizarre” incident for half a century amid fears disclosures about unidentified flying objects would create public hysteria. via Bookies slash odds on aliens existing | Orange UK. There is no declared holiday to designate an event that happened fifty years ago today—the well documented appearance of multiple, formation flying UFO’s over our nation’s capitol. Fortunately Jim Harold and Clayton Morris remembered though and put up a video report on it. If you are interested in all things unusual, paranormal and UFO related, you can’t do better than listening and watching the Paranormal Report and Jim’s other podcasts. Good stuff and you can find it all at jimharold.com . Watch, listen and give Jim a call. Tell him Oldster sent you. UFO Wiener? Looks like a balloon to me. Somerville (New Jersey) police were flooded with phone calls this morning after residents reported seeing a large tube-like object fluttering through the sky. Police said they were swamped with phone calls after a flurry of callers reported to radio station NJ 101.5 that a UFO was flying above the area. Residents then began calling the Somerville Police Department to report the object. May 15, 2010 Posted by oldstersview | Dumb Stuff, UFO	| Comments Off on UFO Wiener? Looks like a balloon to me. Researchers at Japan’s Kobe Gakuin University have developed a prototype for a fascinating new ‘wheelchair’ that doesn’t require wheels.Instead it utilizes an air compressor that spouts jets of air out of several openings laced on the bottom of device, thereby creating a cushion of air that, in essence, makes the chair hover over the ground.This in turn drastically reduces the polarizing effects of friction, thereby allowing the user to more easily navigate to his or her destination.It’s being built primarily for elderly citizens seeking improved mobility, but it hosts the potential to one day revolutionize the entire handicapped industry.The folks at Kobe Gakuin University still have leaps and bounds to cross, though, as the levitating chair currently only works on shiny flat surfaces, which means granddaddy won’t be able to exit the foyer. via It’s a Plane… It’s a Bird… It’s a Levitating Senior Citizen!. A California man has filed a MUFON report, describing some rather bizarre events which occurred on October 5, 2009. The individual, who remains anonymous, said he was at home in the evening watching television station KOCE, a local station in Huntington Beach, California. Suddenly the image on the screen switched from standard programming to an image of Hitler, with his arm up, giving a speech. A bit shocked, the man reports he changed to another station, and then turned it back. The picture of Hitler was still there, and was now accompanied by a clicking sound. According to the man, there were still news headlines moving at the bottom of the screen. The man called the incident “pretty trippy,” saying that a picture of Hitler was one of the first images to be broadcast into space when that technology became available. He thinks this event may have been a communication attempt. More via Our Strange World. Later that same evening he claims to have seen a UFO.